Rhubarb, what appears to look like a red piece of celery, can be a great new way of obtaining daily vitamins and nutrients. While Rhubarb may not be the first thing you would think of when incorporating a new veggie to your plate, it has so many great benefits in and out of your kitchen. Did you know that also like a tomato, rhubarb can be considered a fruit or a vegetable? Sounds like it’s a win-win situation by adding this new food to your group! Every day, to keep our body’s lean-mean fighting machines, we have to get the proper amount of nutrients and vitamins. By adding this low calorie veggie to your diet, you can get both benefits in one daily dose. And quite possibly, eliminating your intake of over the counter medicines to receive all of those things! Who doesn’t want to save money these days?! -Vitamin C (supports the Immune System). NOTE: Rhubarb is a seriously powerful laxative as well as a diuretic, but as with all medicinal products, use it only when necessary because you do not want your body to become dependent. If you’re anything like me, finding ways to keep yourself healthy the natural and simplest ways are key. With this fresh fruit/veggie its benefits also include maintaining blood pressure, controlling anxiety and stress, and keeping the body functioning regularly. Rhubarb is also one of the easiest plants that can be home grown without much maintenance. Even if you have limited space or have no garden at all, this plant can be planted into a pot. Just as long as you have some good fertilizer and sunlight, you will be good to go! The list of ways to prepare rhubarb are endless. From soups, pies, and candies to my favorite recipe Rhubarb Compote- you will never have a dull meal! 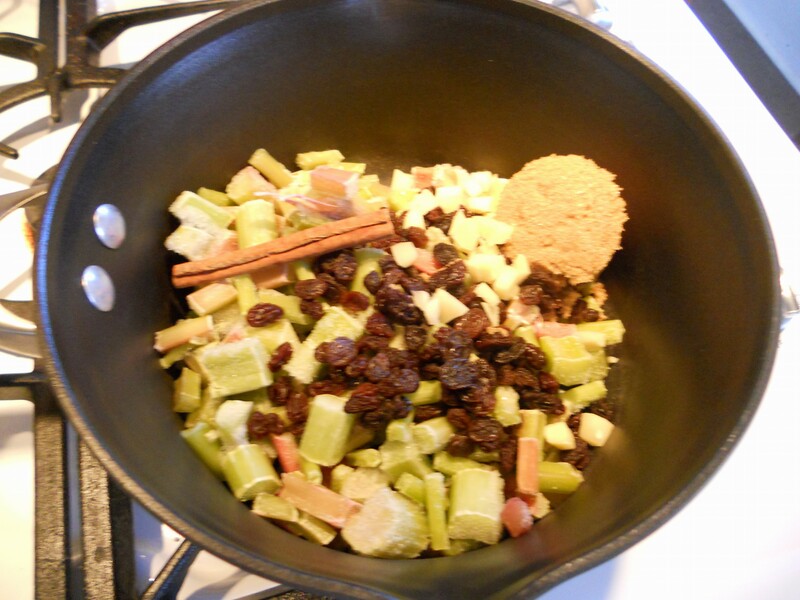 Here is a simple way that I make my Rhubarb Compote. Feel free to leave comments, questions or suggestions! Your feedback is welcomed! 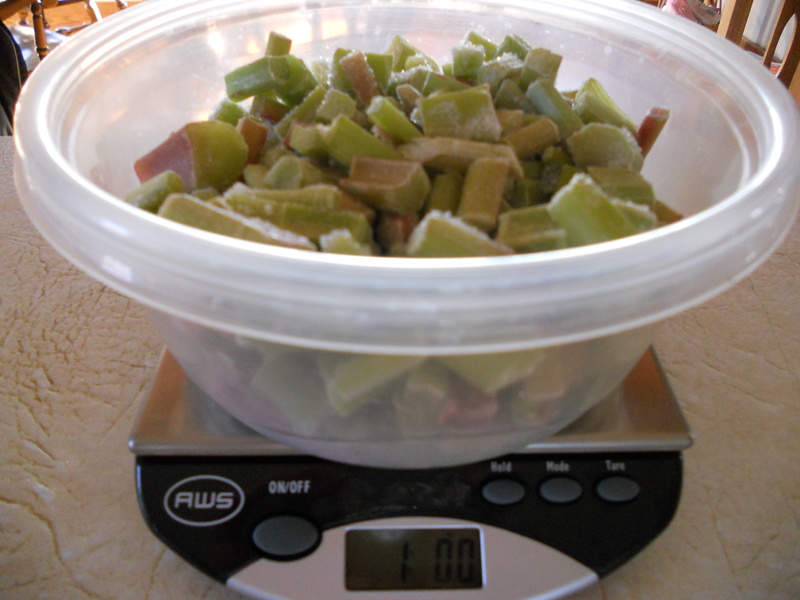 You will need one pound of fresh or frozen rhubarb cut into small pieces. I had a bumper crop last year so we are well supplied this winter! Dice up one tablespoon of fresh ginger. 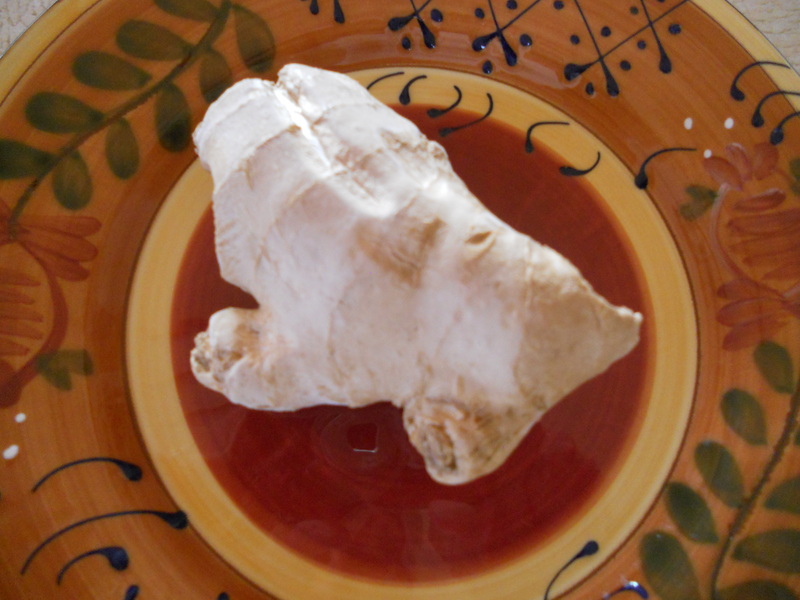 Ginger keeps well in your freezer. Whenever you need it for a recipe, take it out of the freezer, cut off the amount you think you need, peel it, and throw the remaining piece back in the freezer…..no wrapping or packaging needed. So simple! I enjoy this, at room temperature or warmed, in the evening with a dollop of greek yogurt.